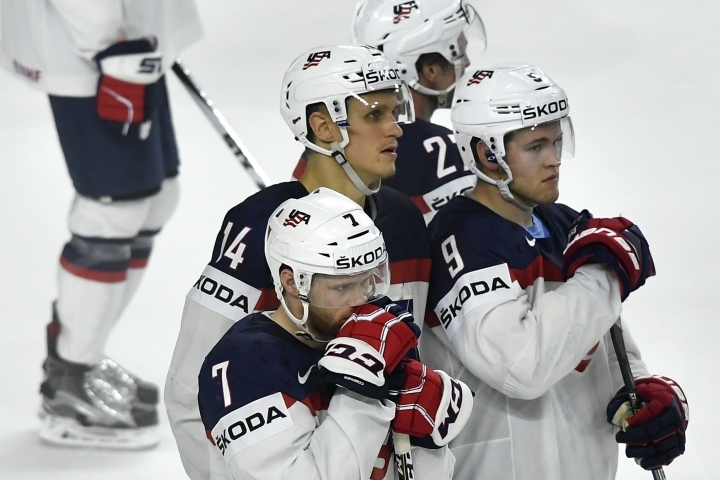 COLOGNE, Germany — The United States' ice hockey world championship campaign ended Thursday with a 2-0 quarterfinal defeat against Finland, after a record-equaling run of six straight victories for Jeff Blashill's young roster. 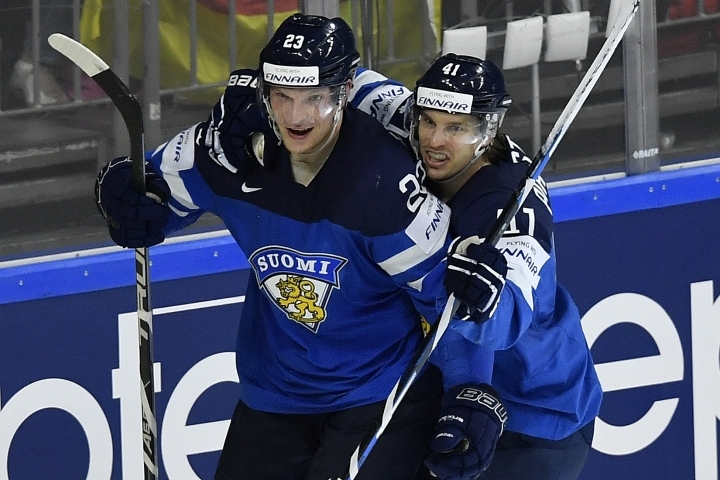 Mikko Rantanen and Joonas Kemppainen scored as Finland booked its place in Saturday's semifinals. "It goes without saying we're bitterly disappointed," said Blashill, whose team looked to be improving with each game following its surprise 2-1 defeat to co-host Germany in the opener. "We believed that this team had the ability to win the tournament. They are a great group who cared, were selfless and played some great hockey. Unfortunately, Finland was better than we were today and I congratulate them." 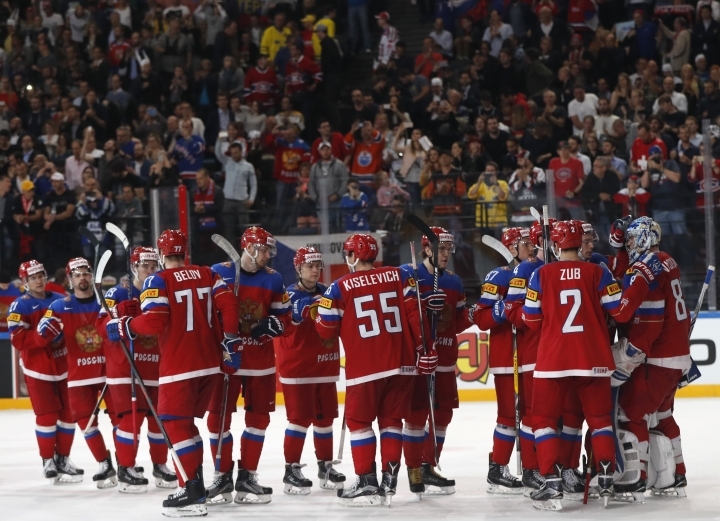 Canada edged Germany 2-1 to set up a semifinal showdown with Russia, which defeated the Czech Republic 3-0 with goals from Dmitri Orlov, Nikita Kucherov and Artemi Panarin. Goals from Nicklas Backstrom, William Nylander and Alexander Edler gave Sweden a 3-1 win over Switzerland in Paris, setting up a meeting with Finland in the final four. Gaetan Haas had equalized for the Swiss. Both semifinals take place in Cologne. Canada outshot Germany by 50 shots to 20, but had to endure a nervy ending after Germany captain Christian Ehrhoff sent Yannic Seidenberg through to score short-handed with less than seven minutes remaining. Ryan O'Reilly set up Mark Scheifele to score on the power play toward the end of the first period for Canada, which was thwarted by an an inspired performance from Germany goaltender Philipp Grubauer. Canada had 20 shots to Germany's one in the second period alone. Jeff Skinner finally made the breakthrough with Mike Matheson and Scheifele involved before the end of the period. Seidenberg pulled one back but Germany couldn't force an equalizer. 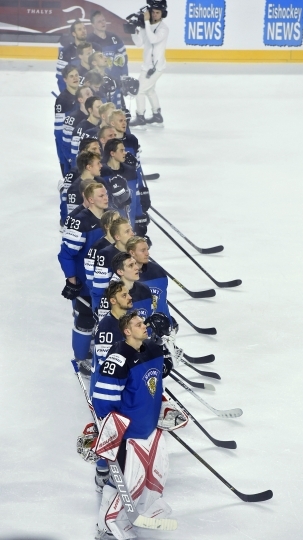 Earlier, strong defense and a shut-out from Harri Sateri on his fourth start helped Finland surprise the U.S., which had beaten Russia to finish top of its group. 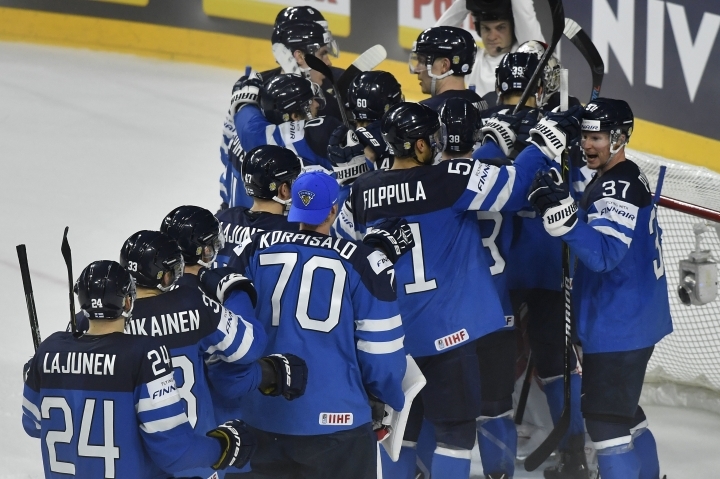 The Americans outshot Finland by 26 to 20. "We didn't give up any goals so we feel we performed our game plan pretty well," defenseman Juuso Hietanen said. "We didn't give them any easy chances and we scored an important goal on the power play. Our defense was pretty good all night." 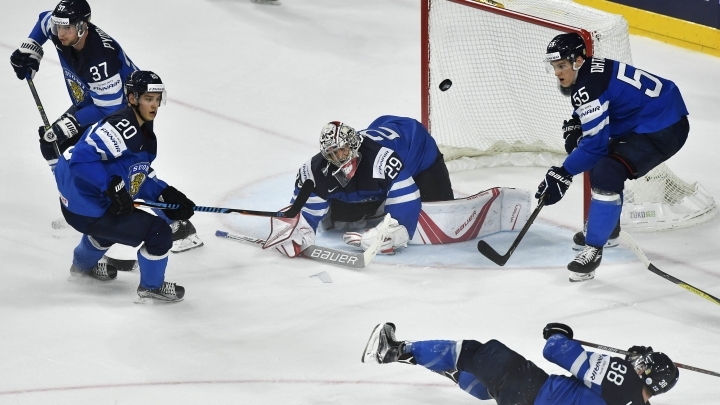 The Finns had the best chance early on when goaltender Jimmy Howard denied Juhamatti Aaltonen on a breakaway. Anders Lee was penalized for tripping at the start of the second period and Rantanen scored on the power play at the third attempt after Howard twice saved. Howard, who finished with 18 saves compared to Sateri's 26, produced another good block to deny Valtteri Filppula, but he was beaten by Kemppainen midway through the final period. Kemppainen swept the puck home after great interplay with Aaltonen. Howard, who was the U.S. player of the game, said the Finns "made it tough on us all night long." Kevin Hayes, who was penalized for playing without a helmet at the start of the period, was then penalized again for slashing. Hopes of equalizing took another hit when Jack Eichel was sent to the box for high-sticking with less than two minutes remaining. 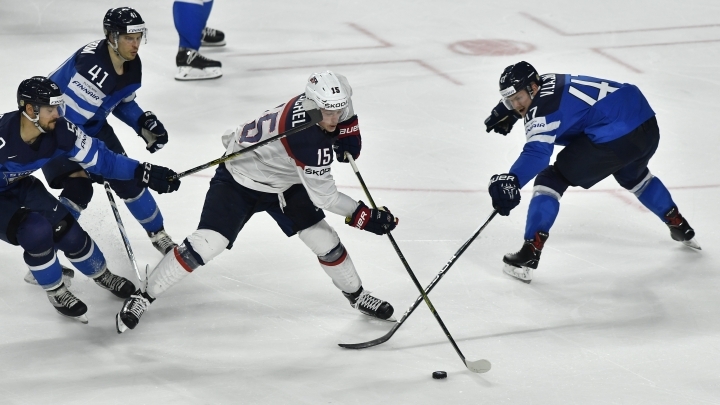 Lee, Johnny Gaudreau and Dylan Larkin were named the Americans' best three players of the tournament. In Paris, Sergei Plotnikov set up Orlov and Kucherov swept in the Russians' second on a power play shortly afterward in the first period. 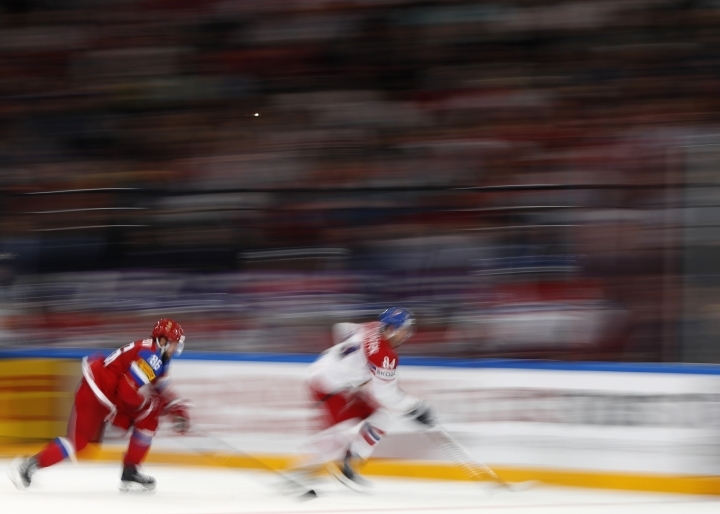 Overall, despite bossing possession, the Czechs were closed down well by the Russians, restricting their ability to get into good shooting positions. Russia wasn't dominating but it did look comfortable. Czech frustration was summed up when forward David Pastrnak's stick broke in half on a slap shot. "We played quite well in the beginning of the game, in the first period, but we weren't scoring," Czech coach Josef Jandac said. "When Russia scored they controlled the game for the next two periods." Panarin, the tournament's scoring leader, wrapped it up off Kucherov's cross-ice pass in the third. It was his fourth goal of the tournament and 14th point overall. "It was a tough game. 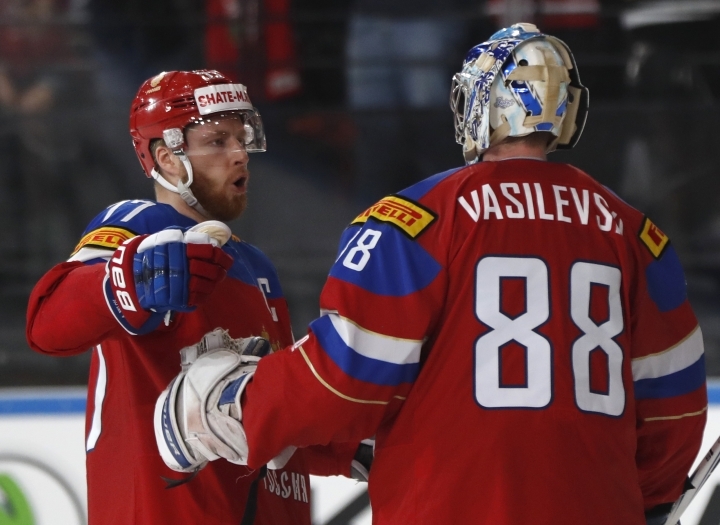 We didn't start very well and the Czechs could have scored," Russia coach Oleg Znarok said. "The ice isn't very good here. We can say it's very bad so it was difficult to play well."